It may be an honor to be named executor or personal representative of an estate. As with many appointments, however, that honor is accompanied by great responsibility. Failure to faithfully fulfill your duties toward those who inherit under a last will and testament may result in anger, mistrust and frustration directed toward you by the very people you were named to help. It could also land you in court with charges that you breached your fiduciary responsibility toward the estate, resulting in fines and penalties being levied against you. As an agent appointed to represent others, a fiduciary has an obligation to act in their best interest. Earn the trust of the person making the will. Generally, a person will want to name someone as executor who is trustworthy and will faithfully perform his duties as outlined in the terms of the will. The testator, or person making the will, usually designates a spouse or adult child as executor but may also designate a friend, extended family member, attorney or financial institution. Agree to accept the duties of executor when asked by the testator. 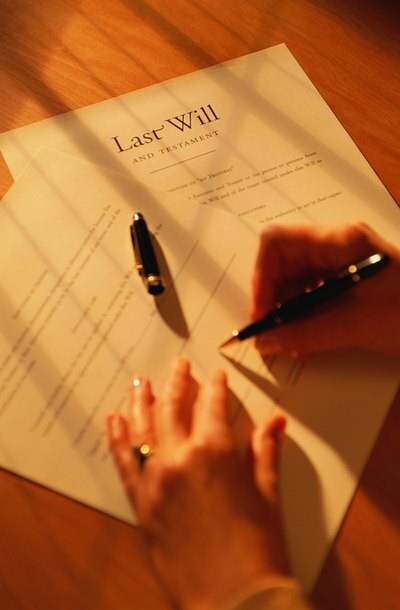 A person who is named in the will as executor has the right to refuse the appointment upon the death of the testator. Therefore, even if the testator desires to name you his executor, unless you agree to take on the responsibility, you will likely never be appointed by the court to act as such. Petition the probate court, upon the death of the testator, for letters testamentary, which is a document signed by a judge appointing you executor of the estate. Before letters testamentary will be granted, however, you must have been named in the will as executor, and until the court issues letters testamentary, you generally have no or little authority to act in that capacity. HG.org: What does an Executor Really Do? Law Offices of Cheryl David: If You’re Named Executor, Do You Have to Serve?